Wow it was a busy week folks. Your favorite podcasting married folks were on the grind spreading the word about The Black Guy Who Tips Podcast. If you’re looking for bonus Rod and Karen then you’ve come to the right place. Karen was on Scarcasm Live (Casual Conversation) for another ladies night hosted by Sherry. Rod and Karen hosted another Spoiled Movie Review Podcast with Kriss and Dexter. Check it out here. 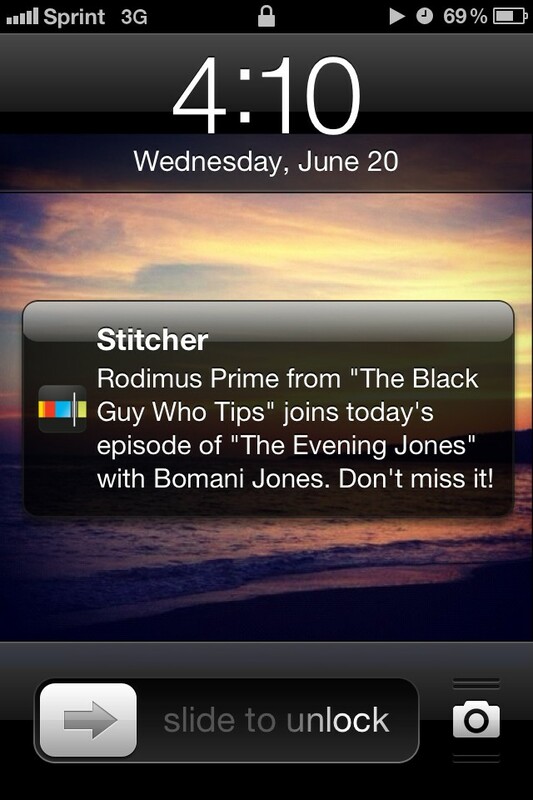 Rod was on The Evening Jones kicking with Bomani Jones talking some NBA finals among other things. And Karen was on the Eclectik Discussion Podcast discussing all things Eddie Murphy. Click HERE to check out the episode. Hope you enjoy!